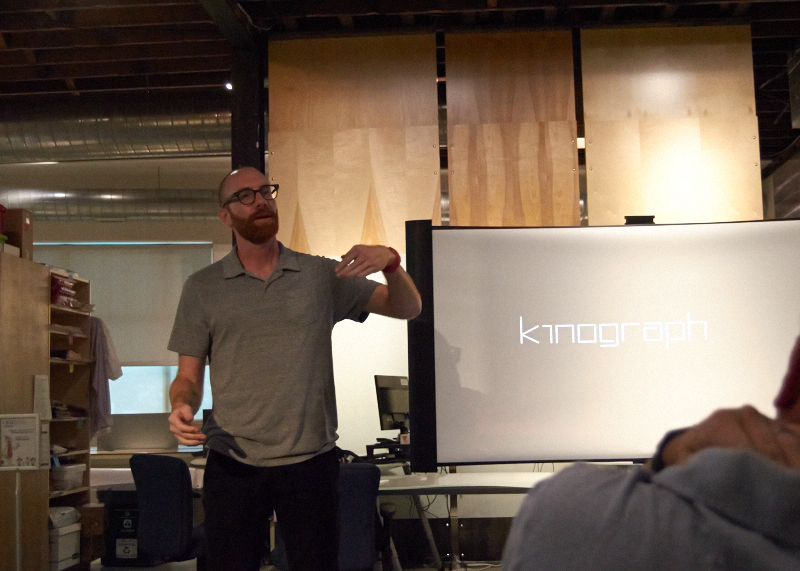 This Monday, local Pittsburgh software community, Code & Supply gathered some of their best and brightest in the old Paramount Film Exchange (now a co-working space) to show off what they’re working on. 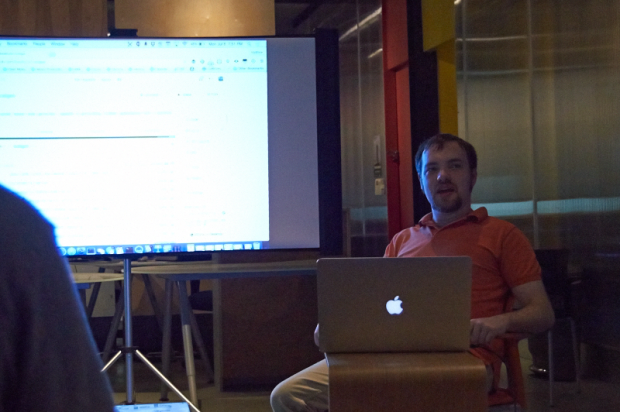 Matthew Beatty (@beattyml1) gave the developers a tour of his code generation suite called “Codgen“. This little library lets programmers speed up their development by helping them generate the same basic code architectures in a way that works on Android, iOS, the web, and anywhere else a developer wants to target, without forcing them to rewrite the same code again and again. 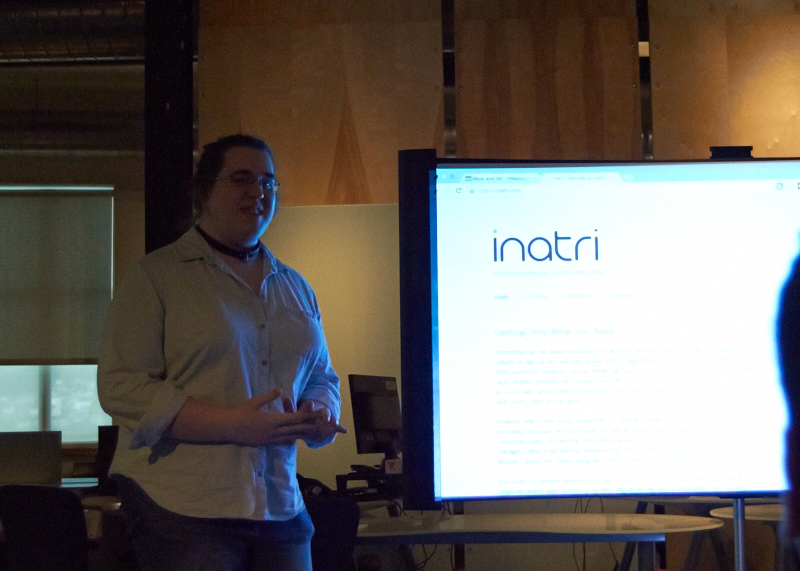 On the softer skills side, Marie Markwell (@duckinator) shared her new blog project, Inatri. Businesses gather personal infor mation and interact with the public in ways that can rapidly become problematic. After a personal disaster involving her private information being abused to harass her, and interactions with businesses which misgendered her, Marie decided enough was enough. 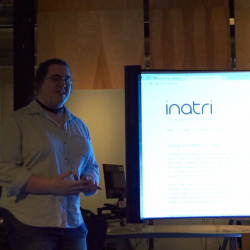 She assembled Inatri as a place where businesses could received guidance on how to gather personal information and use it in a way that respects and protects their users. Her key point is that the personal biases and assumptions of developers can and does “leak” into the software they develop. Matthew Elper (@kinographCC discovered a very different problem. While traveling in Jordan, he discovered thousands of film canisters of Jordanian cultural history- and no one knew what was on them or what how to preserve them. He put together his own home-made film digitizer, using off-the-shelf parts, and discovered lost footage of the previous king of Jordan- an act that drew the attention of the current king. His project’s been featured in Make Magazine, and he’s looking for collaborators who are passionate about saving cultural history before it’s forever lost. 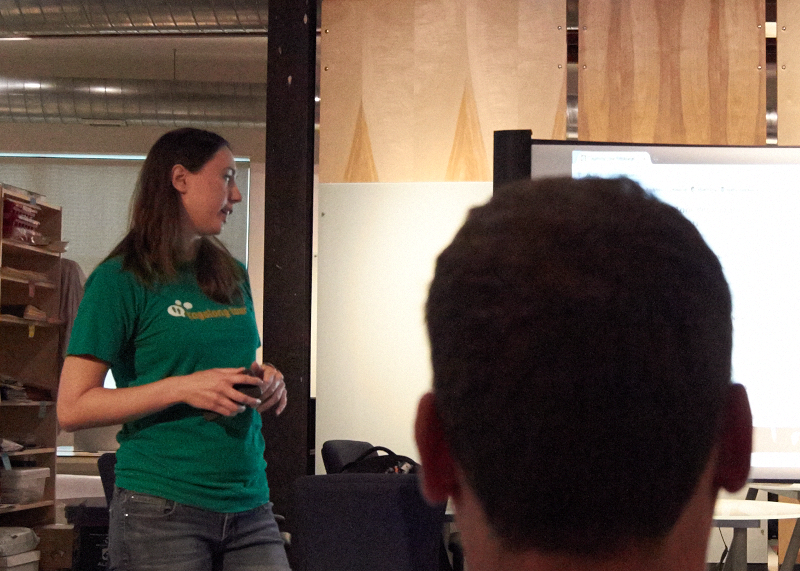 Finally, Jackie Vesci (@JVesci) came with her startup project, Tagalong Tour. 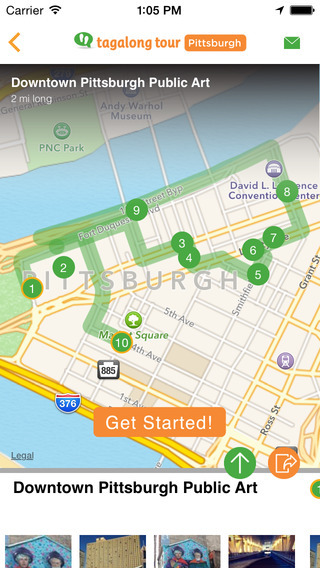 This project is a passion project among friends that offers walking tours of Pittsburgh, with audio guidance. They’re still experimenting with what makes a great tour, but they’ll help you “Meet the Neighbors” in East Liberty, find the highlights of public art in Downtown, or play the best pinball in Lawrenceville. They’re looking to expand their tours, and grow their user base- which is growing at roughly 10% a week. You can check them out at the next OpenStreets, where they’ll have a Karaoke booth, and you can download the app and try it out yourself. It was a great night to see what’s going on in the Pittsburgh tech scene. If you want to get involved, join Code & Supply on Meetup to learn about these events. Their monthly Build Night is a great place to meet and network with technical folks, and if you’re not a technical person, don’t worry! They have a #StarterSeries event every month, which will get you started. The next one is July 25th, and will cover a key design pattern for building software.